This is one of the traps of the student of knowledge. This happens when the student learns something and then performs that practice lazily. Instead of performing an action to the best of his ability he performs the basics of that action without trying. Unlike before and sometimes worse than before! What we mean is when a student learns a subject and finds out it all the details then they perform the action to its minimum. Rather than perform it to its maximum, as before. Other people can see him performing actions and can see his errors but because he is doing just the basics; it looks as if he is not performing the action correctly. He knows himself that the action is valid but he is missing something yet he is not concerned. In this case the person who does not know what makes his action valid and invalid is better because he tries his best. For example if the student knows that touching his knees makes his bowing/ Ruku valid and he does not have to have his hands on his knees and pause. Others, who only know the Sunna, may think that his action is invalid because he is doing something that they do not know is valid. The student of knowledge has to be aware of this and try to perform actions as best as he can and not perform just the basics unless he is in a situation that stipulates it. For example he only has a few minutes to perform a prayer and if he tries to complete to the best of his ability then his prayer be invalid because he would’ve left the time. In this situation he can do the basics. Just a general point, people need to find out what makes their prayers valid and invalid. This is a basic knowledge that people need to seek. Muslims in America parts one to six. The Nature of Belief parts one to eight. In the Merchant of Venice the Prince of Morocco said, "Mislike me not for my complexion." (Act 2 Scene 1). He knew that their eyes could clearly see a difference but here we are concerned with the differences that cannot be seen. The Prince of Morocco was speaking to the people of Europe and he addressed the differences in people in terms of skin colour and belief. Have we tried to address these? Islamic outreach is something that I feel quite strongly about and it is something that we have failed to do in the West. Explaining Islam to its people in a way that can be digested and understand has not happened. This has to be our starting point, realising that we have failed in this matter. Only then can we begin to build for the future. If we do not accept this point then we are likely to continue making the same mistakes over and over again. Is Islamic outreach something that we should be concerned about? Well you should be concerned about this if you are a lover of the Prophet (may Allah bestow peace and blessings upon him) because that is one of the main purposes of Prophethood. To call the people to the message of salvation; the message that will save them from everlasting humiliation. Most of the time there are only a few groups performing this obligatory action in the West. The Sunni “Sufi's” seem to have given up outreach with the exception of the scholars. Calling people to Islam is an obligation on the community. Anyone who comes from the Indo-Pak background owes their Islam to Sufi's. This is no exaggeration, war did win over the political power but the hearts of the people was won over by Sufism. When we say Sufism or Sufi's we mean those who follow the sacred law correctly and follow a spiritual leader. We do not mean those who are called Sufis and are in many ways worse than those who do not pray! In our times the so-called Sufi's come out for the Mawlid and are not interested in speaking about Islam to anyone. This is not the way of the Spiritual masters who have preceded us and or the one who gave us this religion. He would supplicate for people to become Muslim and he would facilitate their Islam after they came into Islam. His prayer was one of the reasons that Umar ibn Al-Khattab became Muslim and he supported Salman the Persian (may Allah be pleased with them both) after he became Muslim. So this is the way of the Prophet (may Allah bestow peace and blessings upon him) and it is nothing new. Dawah was something that he said he would continue to do until it became manifest or until he died trying. 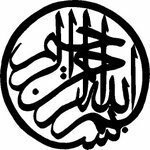 According to the book Foreign policy of Muhammad by M. S. Qureshi he states that the Prophet (may Allah bestow peace and blessings upon him) sent thirty letters to kings and sent over eighty delegations to tribes explaining Islam. The Prophet (may Allah bestow peace and blessings upon him) was anxious that people enter into Islam. We need to speak to people in the West using information in the way that they can digest. This does not mean we demean Islam, we should explain Islam, honestly. Come from a root Arabic word دعا which means to call or summon. دعوة which can mean to invite or to appeal. We are inviting them to the appeal of unchanged religion meaning that they will enter into endless bliss by becoming Muslim. We are only responsible to deliver the message, once this is done our responsibilitly is over. It is up to them to become Muslim or not. In the Tibetan language Dawa means the moon. We want people to see the beauty of the man who is more beautiful than the full moon. What should be our next step? Our next step is to engage local Masjids into giving out the correct outreach to non-Muslims. If they are not willing to do anything for outreach then we have to engage groups outside the Masjids. This is something that is becoming increasing apparent. Many Masjids do not understand the environment that they are in and thus other centres have to be opened by like minded individuals who are ready to do this work. 1) We need to have English speakers who are open to speak about Islam to non-Muslims. Be that having open days for the public or for select groups of people like school groups. 2) We need to have soup kitchens that feed the poor. 3) We need events where people can come and ask questions. 4) This events where people can get together. Leeds new Muslims is a group of concerned Muslims who bring all those who have recently converted together to have a meal. This is normally a weekly event and this gives so many people chance to interact and make new friends. It is not easy to become Muslim and they need as much support as we can give them. Recently this program has been copied in Dewsbury and its results have been extremely positive. There are many Muslims in our communities who hide their Islam and live in areas where there is little hope of assistance. This program brings hope and brings them together with other Muslims who can help. These are some things that we feel are important and need to be addressed. Of course there could be more. Most of all we should be extremely careful of how we interact with other people because that can also have a bearing on whether people become attracted to Islam or not. If they see an enlighten human being who is a Muslim then Islam becomes attractive however this is not the case when they meet a rude and obnoxious Muslim. Acts of kindness should not be seen as anything small they should be seen as ways of attracting people to enter Islam. We do have a collective and an individual responsibility concerning the outreach of Islam and this needs to be taken seriously. Muslims have to note that they can play a large role in making a new Muslim feel welcome. Even if they do not know much themselves as long as they know where to go to gain knowledge. Any small action is something that could be massive on a personal level. We need to accept new Muslims into the fold and make them feel welcome. I have lost count the number of English Muslims who are seen as outcasts because they do not come from 'back home.' This is rubbish, Islam is not about a racist or tribal religion. Anyone can be a Muslim and they can be from any race of people. Also if you see a English Muslim in the Masjid who has finished praying, do not go up to him and ask him if he is Muslim! This is most stupid thing you can do! Invite them for some food and do not kill them with spices! If you know or find a new Muslim in your area then support them as much as you can by encouragement. Get them the right books, prayer mats, invite them to good lectures and take them to teachers to learn. Do not sufficate them and if they have questions then pass them onto someone else knowledgable. They need support and avoid informing them that so and so group is the wrong group to follow, unless they are clearly wrong. As this may confuse them in the early stages of their development. Let them grow and let them learn at their own pace. All that glitters is not gold but the gold we have can be shared without deminishing. AbdulHakimMurad-WelcomeToMercy from MR on Vimeo. We are in the season of exams for all those in education. Many are asking for supplications to succeed. Students are either working hard revising or chilling out thinking that they do not need to revise. We were thinking about tests and wondering why we need tests. Exams are in place to make sure that you have learnt the lessons that you have been taught. So the exam is a reflection of your understanding or lack of. If you fail then you cannot progress with your chosen educational field. You may need to resit the exam or you may need to take another route to a job. Similarly, the tests of the world are exactly the same. We are given tests to see if we have learnt how to deal with a situation. And if we have learnt to deal with them then we are elevated to a higher grade and this helps us progress. If we fail then we are stuck until we get the message and or get another test. I'm brahim from Marrakesh, Morocco. Sidi Abdel-Aziz adabagh and Moulay Idriss in Fes and others....."
Please email him for prices. Brahim is a resident of Marrakesh so he can show you those sights easily. For further details please email him not me! The beliefs of Imam Ghazali to a Qasida!